Hey, we're Drs. John Van Epp and Morgan Cutlip and we are happy you are here. Let's get acquainted because we hope you're going to stick around for a while. If you want to know what we're all about go here. 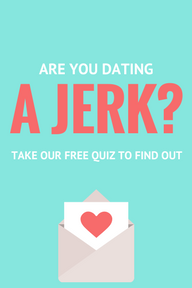 ARE YOU DATING A JERK? Newly single? How to financially get over your ex. Are you giving too much in your relationship?